Is where you will see some good cruising around. If you are not having and luck with the dry’s and the fish are on the bottom get the B/H Nymph on and roll it down to them this has been making the fish more active. 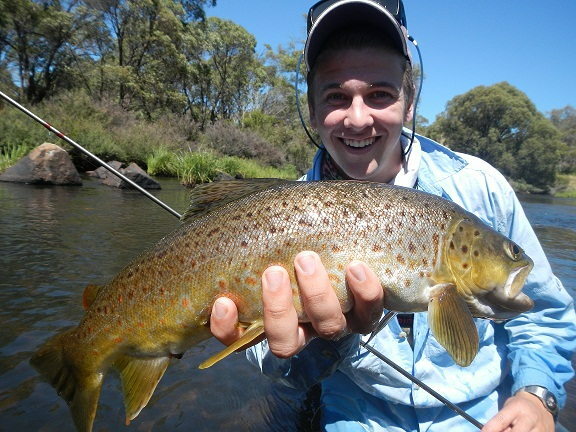 On the Euc river has been much the same as the Thredbo most off the fish have been working there way up to the gorge this is where you will find the cooler water and the fish are more active. Moonbah river is still the pick off the rivers with plenty of fish been caught but a lot smaller but with the right gear you can make it a good day out. Remember there only small fish but this river will make you think that this is what it’s all about!! 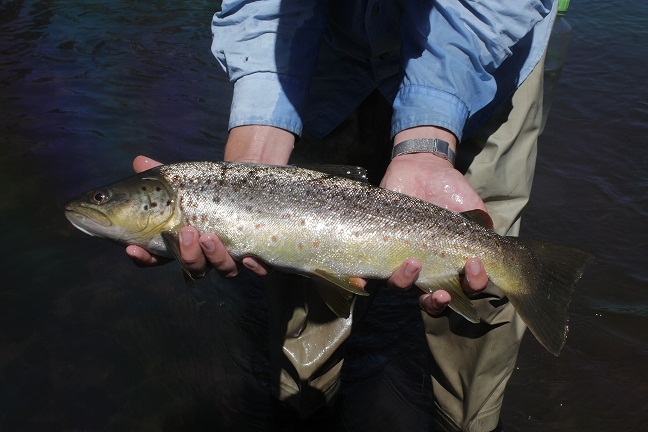 With fish for the past two years so if the rivers keep flowing things are going to be better next season. Just thought I'd send some pics of some nice browns I picked up before the weekend on a few different spots on the bidgee. Not many fish caught but all good sized ones, and two polaroided which was cool, I was using a size 12 wee muddler, occasionally with a nymph hung under the shank but all these fish bar one took the dry. B/H Nymph’s Black most of these fish have been Caught late in the afternoon with some good results. Seven gates same again late in the afternoon using the same fly’s as Braemer Bay using a slow retrieve what I have found out the slower the better. Yes the fish are out there but few and far in between but when you hook up there good. If you are fishing Middingbank the best fishing has been over on the east side so go for a walk get that wind behind your back you will be surprised on the results. Yes the fishing has been hard so if you are not having any luck move on!!! 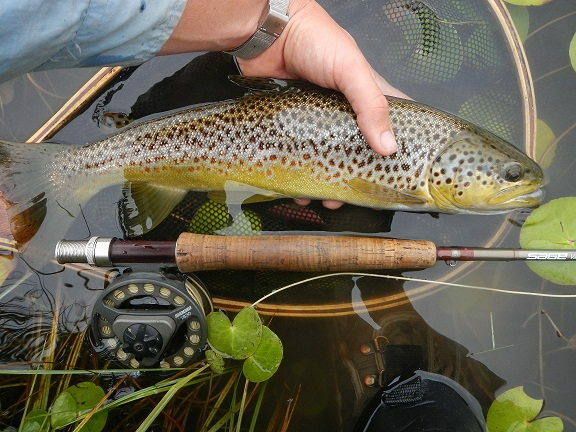 Guthega and three mile are fishing well so with some good browns and rainbows my pick would be Guthega on a good day.